After facing off competition from 63 other determined contestants, through seven gruelling weeks of culinary challenges and an exhilarating final cook-off, I became the thirteenth amateur cook to lift the MasterChef trophy. In a punishing final week, I cooked for the American Ambassador under one of Britain’s best chef’s, Paul Ainsworth. I embarked on a culinary adventure to South Africa and took on three exceptional challenges - firstly mentored by one of South Africa’s most celebrated Reuben Riffel, then under British-born Luke Dale Roberts at the world-renowned The Test Kitchen cooking for leading figures in Cape Town’s cultural and food community. In the penultimate programme, I cooked for The Chef’s Table, overseen by one of the country’s most creative chefs, the two-Michelin starred, Sat Baines. 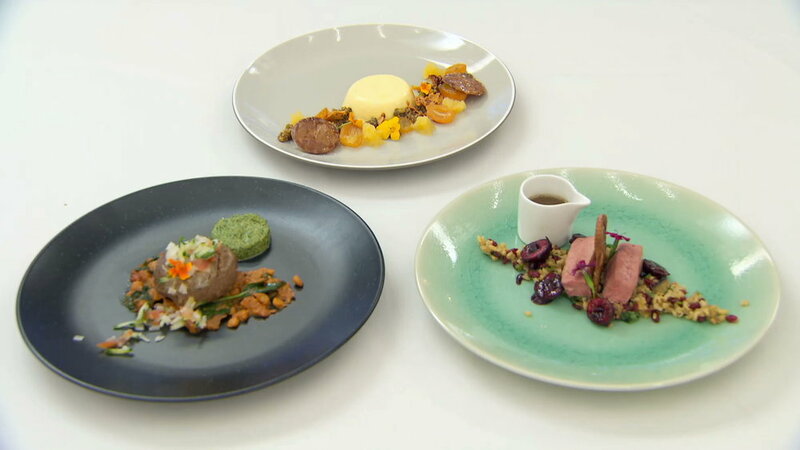 The final task was to prepare a three-course meal for judges John Torode and Gregg Wallace. My winning menu started with a venison shami kebab with cashew and coriander green chutney, chana daal and a kachumbar salad – in memory of her grandmother’s house in Pakistan. The main course was a Kashmiri style sous-vide duck breast, with crispy duck skin, freekeh wheatgrain, spiced with dried barberries, walnuts and coriander, a cherry chutney and a duck and cherry sauce. The final dish in my menu was a Saffron rosewater and cardamom panna cotta, served with a deconstructed baklava (inspired by my childhood love of baklava), including candied pistachios, pistachio honeycomb, filo pastry shards and kumquats. I am a junior doctor working in the NHS. I graduated from Kings College London in 2012. Starting my career at St Mary’s Hospital, I have subsequently worked in Hillingdon Hospital and Watford General Hospital. I am training to specialise in Gastroenterology, focussing my energies on the treatment of Digestive disorders. I am a member of the Royal College of Physicians, having completed my postgraduate exams. I work on a shift pattern rota, where I routinely work long days on calls as well night shifts. In the future, my dream is to continue working as a doctor – and also to combine it with my passion for gastronomy. I hope to be able to help drive the country towards healthier meals - and work on national campaigns to tackle obesity, particularly in children. My husband Usman Ahmed and I have been married since August 2013. Usman is also a Doctor, working in Acute Medicine. Our beautiful baby boy, Aashir Ahmed, was born in October 2014. Life is a whirlwind managing a young baby and busy careers. We both come from families of Pakistani descent. I have a younger brother and sister and grew up in Ickenham, West London. My husband has an older sister and younger brother (credited for building this website) and grew up in Reading, Berkshire. Food was a big part of my childhood. 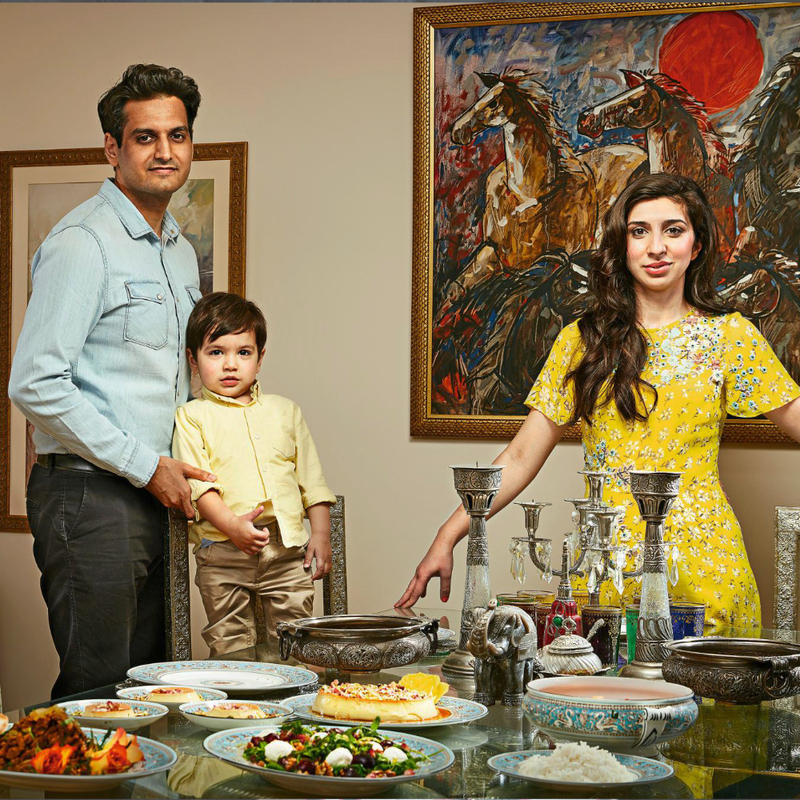 I was heavily influenced by the Kashmiri style cooking of my maternal grandmother and mother. I have fond childhood memories of my maternal grandmother picking cooking apples from the garden to make an apple curry for us. I love cooking healthy fresh meals on a daily basis for my family. Essentially, I love to feed people, it runs in my genes!